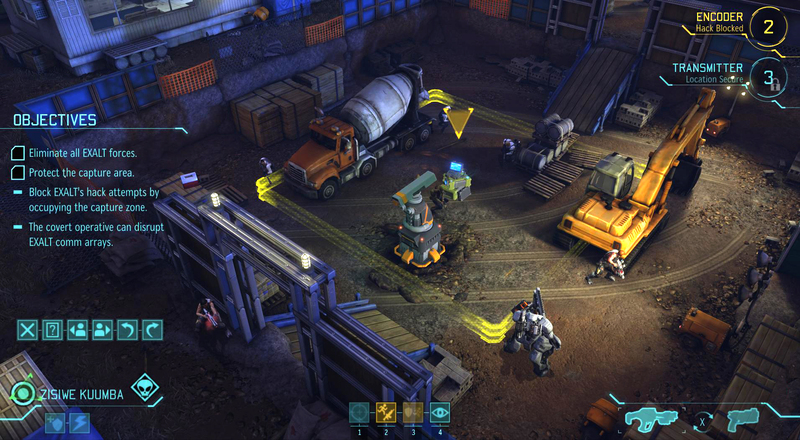 I didn't get to see any of this in the early missions I played, but Gupta tells me that, as the campaign progresses, EXALT will start using alien technology to power up its troops. You'll start to see EXALT elites with genetic modifications similar to what you can do with MELD. "The EXALT elite heavy, for example has a gene mod that mitigates incoming damage heavily," said Gupta. "It's called Iron Skin and he's a pretty cool pick in multiplayer I think." Speaking of multiplayer , all the EXALT units are available for use and they look pretty dang cool in their getups. 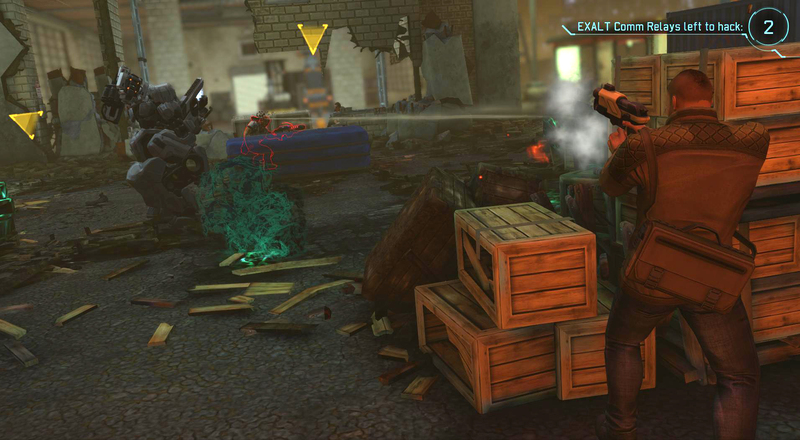 Of course, other than the g-mods Gupta mentioned, there's little difference between XCOM soldiers and EXALT. 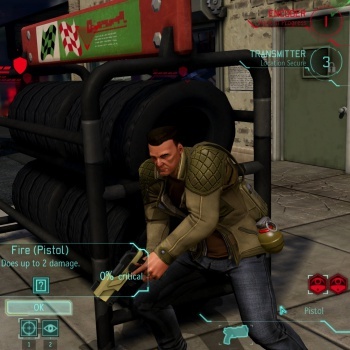 "Because the point pricing is comparable to XCOM soldiers from a similar kit I think people will use exalt for cosmetic reasons," Gupta admitted. The new classes of MECs or the genetically modified soldiers weren't in my arsenal for these missions, but I did get to experiment with quite a few new items. 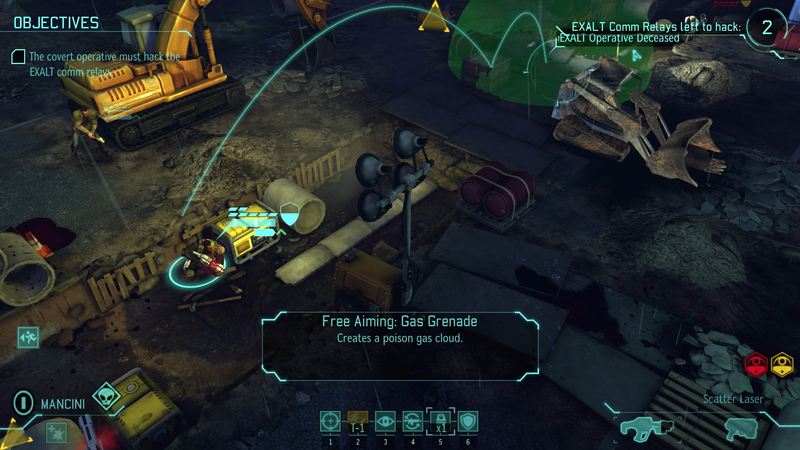 The gas grenade is dastardly effective not only at poisoning groups of enemies, but it also lowers the accuracy of those affected. It's essentially the gas attack of the thin man, but concentrated in grenade form. 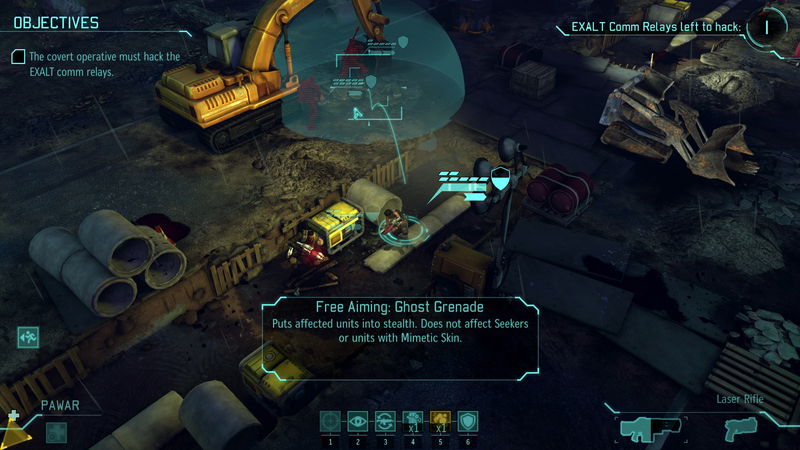 A different sort of grenade is the ghost grenade, which puts friendly units into a stealth mode, preventing them from being targeted until they attack themselves. Gupta said those were only some of the items which will make their debut in Enemy Within, and some of them are just stuff they didn't get to complete for the first game. 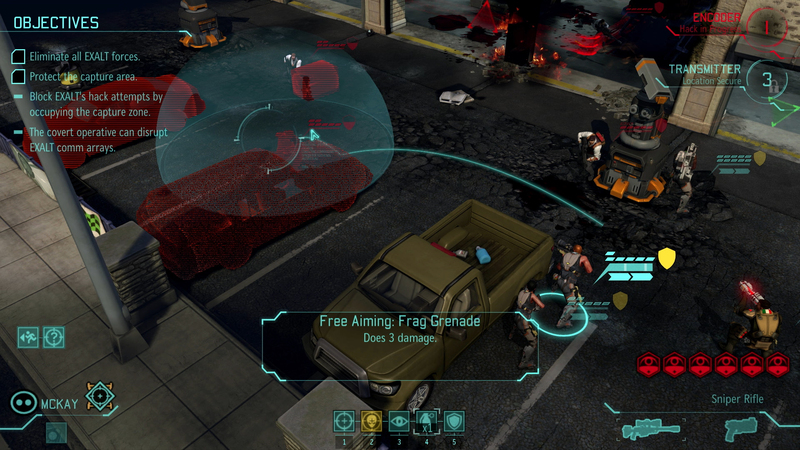 "Once we gave the Thin Men the poison ability in Enemy Unknown, we said 'We should totally do a gas grenade.' But we didn't really have time, the artists and the effects guys were already totally destroyed," Gupta explained. "Then there were other things where there was stuff that we had the basic architecture for but didn't have the time to get it nearly close to full, like the flame thrower. Proximity mines are another good example. 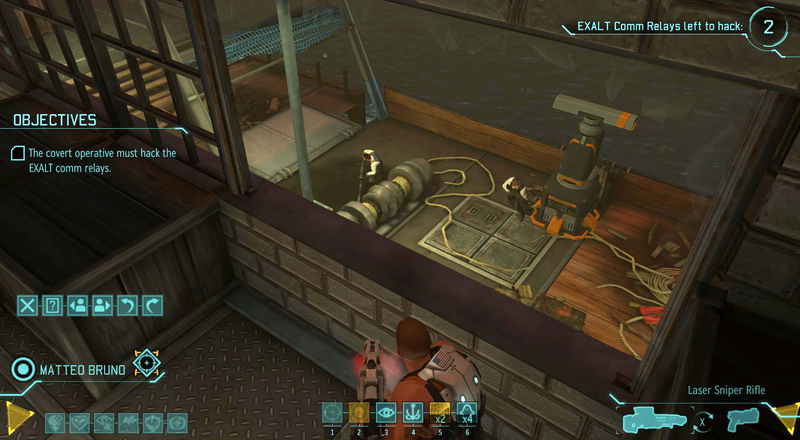 Proximity mines are tier three tactical system for the MEC suit which originated as a grenade. We were doing a grenade with a proximity sensor and you can kind of throw it and now it's going to be on the MEC suit in Enemy Within." On the strategic level, EXALT will be an annoyance to contend with alongside the alien invasion that's "light on story, but heavy on theme." 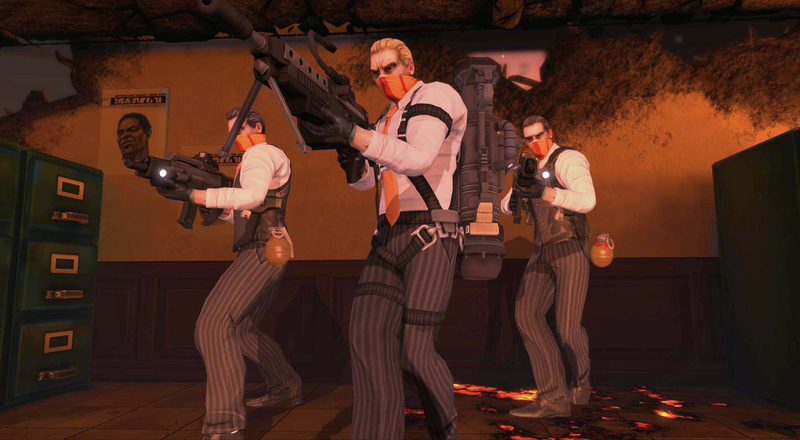 That's clear from the appearance of the EXALT agents, who appear as well-dressed foreign nationals. Gupta explained the members of EXALT are bankers or businessmen who are called in when needed. The speech from the opposing team is digitally distorted speech in languages other than English, which means they could be from anywhere. 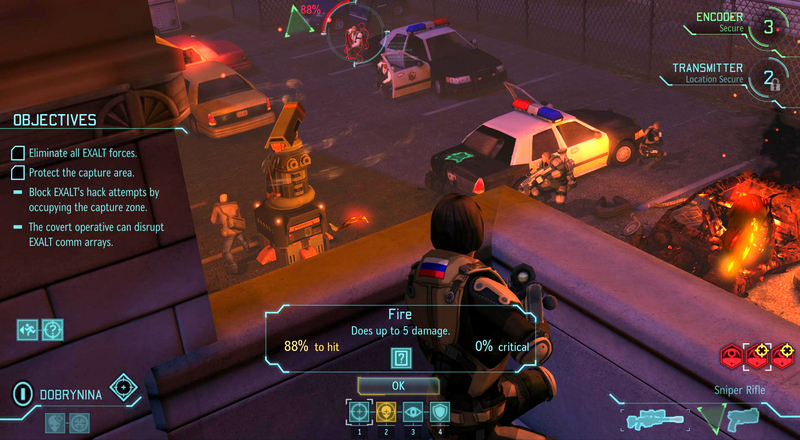 In fact, that's one of the things you must discover as the commander of XCOM; where the EXALT base is located. If you are successful in EXALT missions, you'll get a clue as to which nation is harboring the base. "In addition to dispersing the cell that was in the site of that covert op, EXALT intel gives a clue as to the location of the EXALT base," Gupta said. "The clues take the forms of things like 'the EXALT base is not in Europe', 'the exalt base is east of the Atlantic', 'the EXALT base is in a country you can play in Civilization V' - that was one of the last ones that I added," he said with a smile. Collect three clues, and you can start guessing where the base is, but you better have it right. 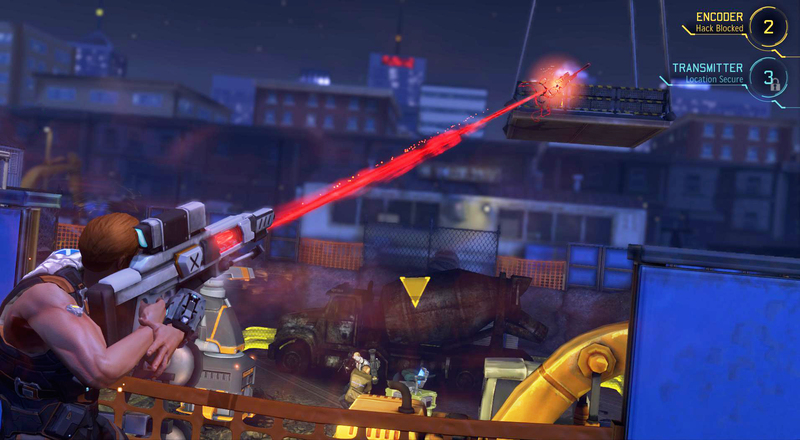 If you are wrong, the nation immediately leaves the XCOM project. If you are right, you'll get a chance to assault the EXALT base, and remove the silly handkerchief-wearing fools as a threat for the rest of the campaign. 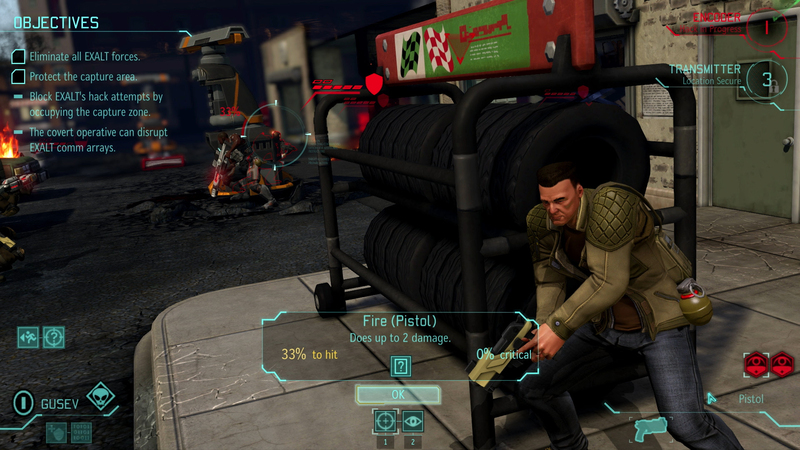 As a big Enemy Unknown fan, I was very interested in whether the new features would feel like addons, or if the expansion would feel like a cheap money grab. 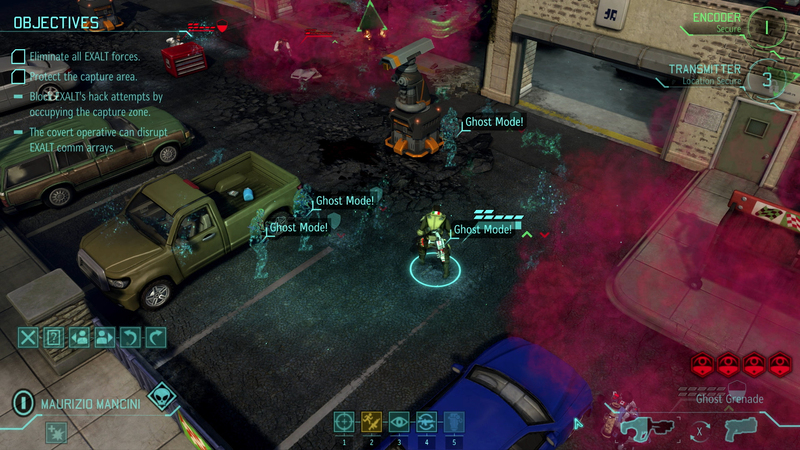 While I didn't get to play with the new toys of MELD, the new strategic elements of the EXALT threat were an interesting wrinkle to consider for the XCOM commander. On the tactical level, the EXALT squads I faced were worthy adversaries, testing the limits of my skills as a commander. The new objectives were also fun to grapple with, and concentrating on extracting an operative instead of just destroying all the enemies on a map was a fun departure. 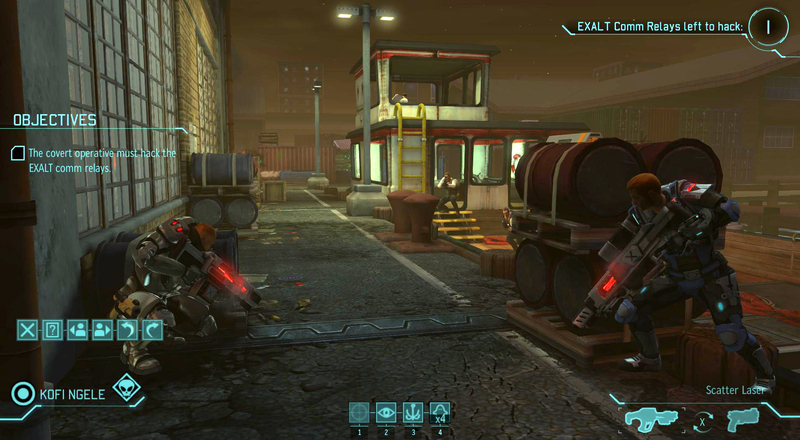 Yep, when it comes out on PC, Xbox 360 and PS3 on November 15th, Enemy Within might just be the perfect way to expand the XCOM universe.